Need to try before you buy? 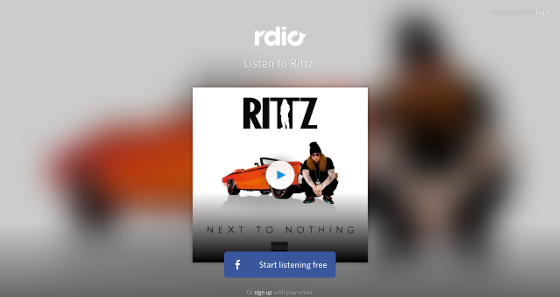 Listen to Rittz’s brand new album Next To Nothing on Rdio.com for absolutely free! Rdio.com will be streaming the deluxe edition of Next To Nothing for your listening pleasure, which means that not only can you check out the album that some fans are coming the best Strange Music release of all time, but also the bonus tracks available on the iTunes Deluxe Edition.